Reblogged this on INFO PUBLIC. Interesting-reminds me of an optical illusion!!! I’m curious what inspired this photo? (Looks like a lady holding a little child). It may also be a pic of someone taking a photo with their camera, because when I look again, it appears to be someone holding a camera & aiming it toward the portal-it looks like their hand). Difficult to tell if it’s 1 or more people. I’d say it’s Matt doing a selfie with his phone. The background looks like a reception of a hotel or restaurant. And the woman with the child is standing behind Matt and asking the waiter for a table. Reminds me of a dream. wow. 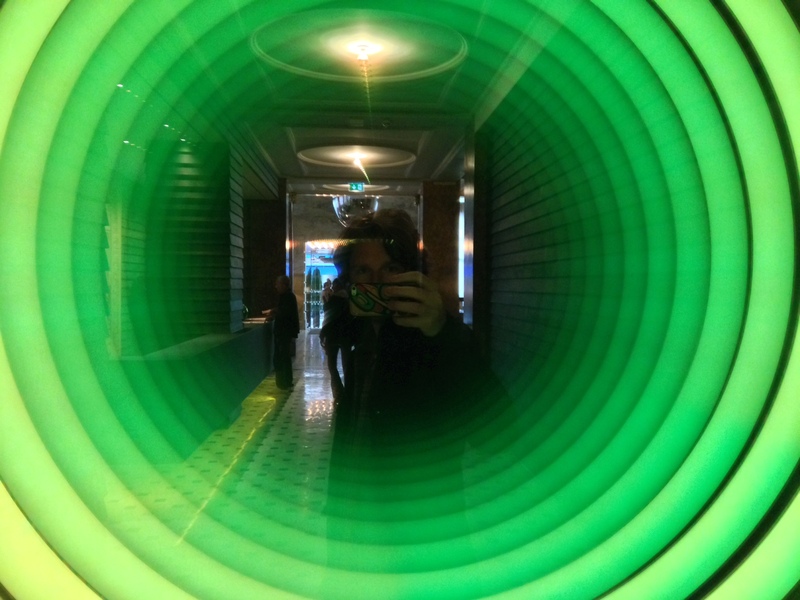 I saw the portal like this in Japan before…it was not green tho. is it Japan..? Amazing image! I love it. Thanks for sharing it. I like this picture! The green light looks good! It looks like outdoors behind the lady & child, because it looks brighter.